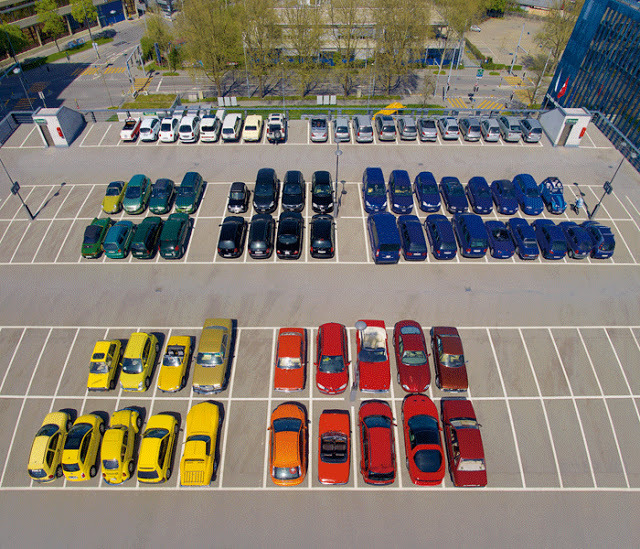 What if you pulled into work only to find every single car organized perfectly by color? Let’s just say that at the very least, it would be easy on the eyes when looking out your cubicle window. Organizing a parking lot by color is just one of the many things that some perfectionists have decided to do in their free time. Other examples include: a perfectly round pancake, squared watermelons, and lots more. Continue reading to see them all.